Locations: St. Louis to Springfield MO. Note: Brand new 2013 pre- release review. Latest entry in The Heritage Series features Frisco 1522. Filmed in 1991 and 1992. 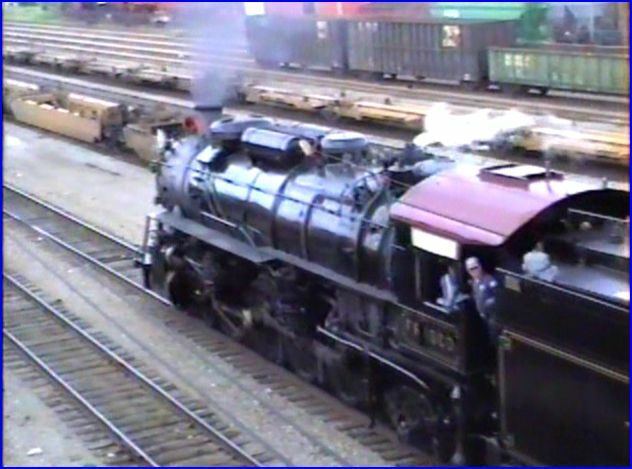 There were non publicized test runs of the locomotive, following repairs. 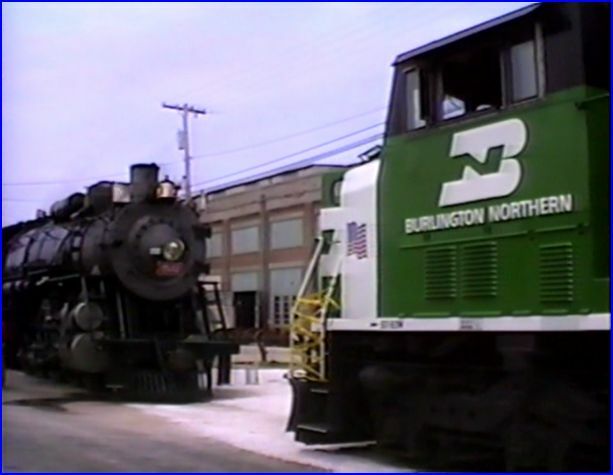 These break-in trips were on former Frisco rails, as hosted by Burlington Northern. 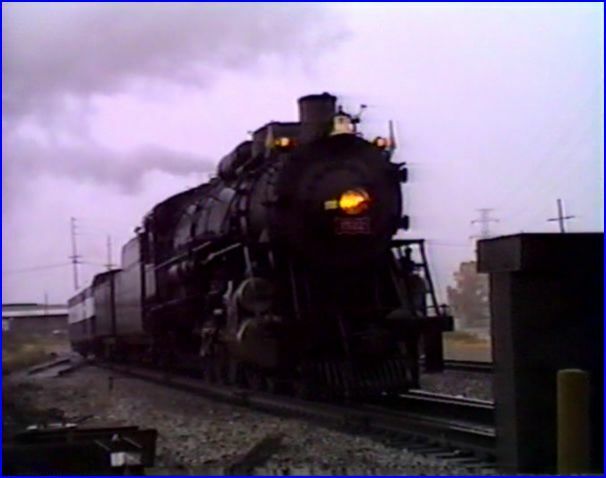 Viewers will see both freight and passenger cars being hauled by the steamer. 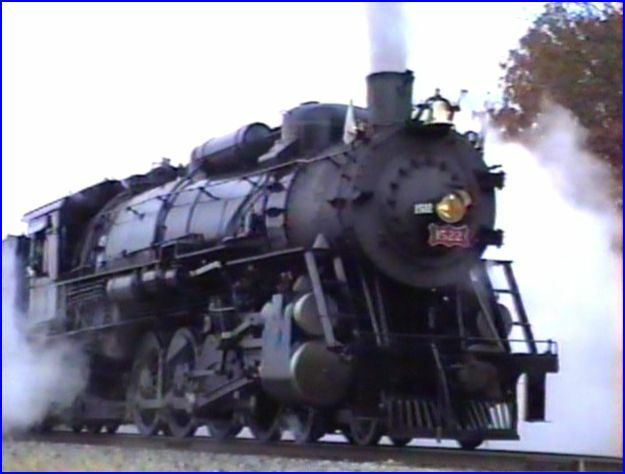 Number 1522 is a large 4-8-2 Mountain type locomotive. Baldwin built in 1926. The videos were shot on the common VHS equipment of the time. George Redmond was the veteran and Kurt Jensen was fairly new to video. Film quality is about what one would expect. Overcast skies are present throughout the majority of the show. Composition and camerawork are good. Quality of the source tapes range from fair to good. The sound is vibrant. Mary McPherson is the producer. She is constantly improving her shows. This one has some new digital graphics. Map overlays which are a creative solution. Editing and script are fine. Soundtrack is natural sound and very clear. Mary performs the narrative. In case you haven’t heard, Mary is a real world Amtrak conductor! Early morning operation at St. Louis. The program is largely a collection of runbys. Here, the train departs Cuba. Nice shot ! 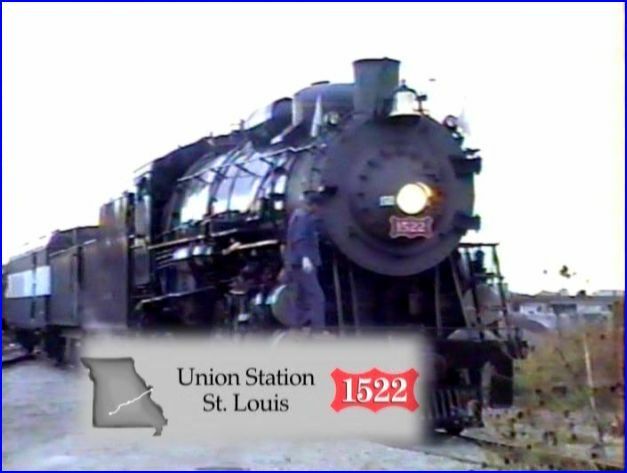 Frisco 1522 at Cuba, Missouri. Location graphics are plentiful, as seen here. 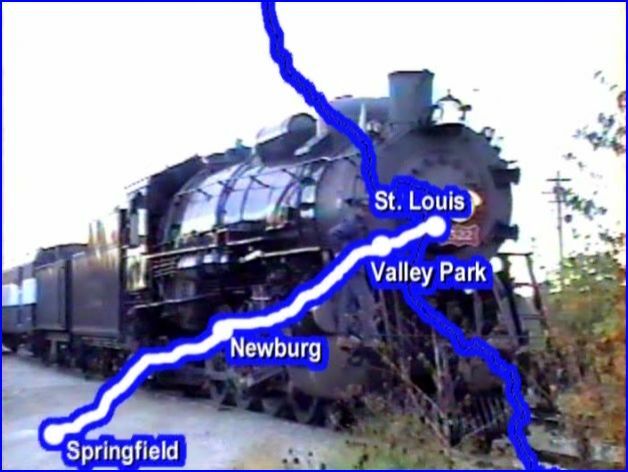 The feature trip runs all the way to Springfield Yard. The Frisco engine is then displayed at a Railroad Days event. 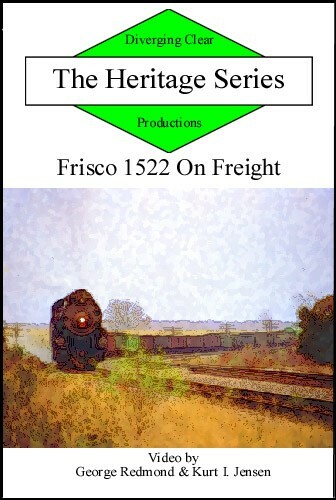 Frisco 1522 on Freight is another in a growing line of Heritage Series releases.The show achieves a nice balance in presentation. 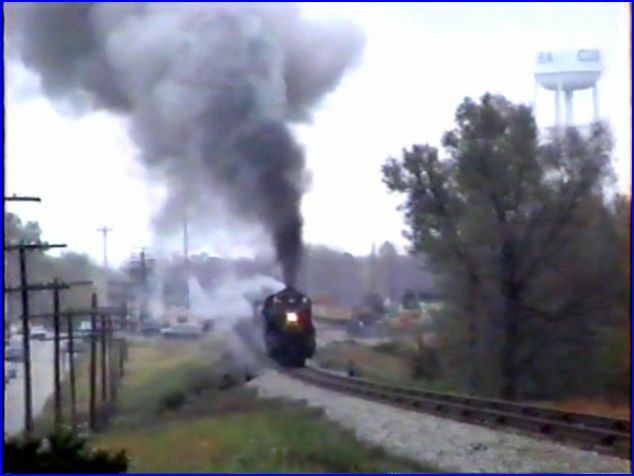 Diverging Clear offers a show that will appeal to both railfans and probably their kids as well. 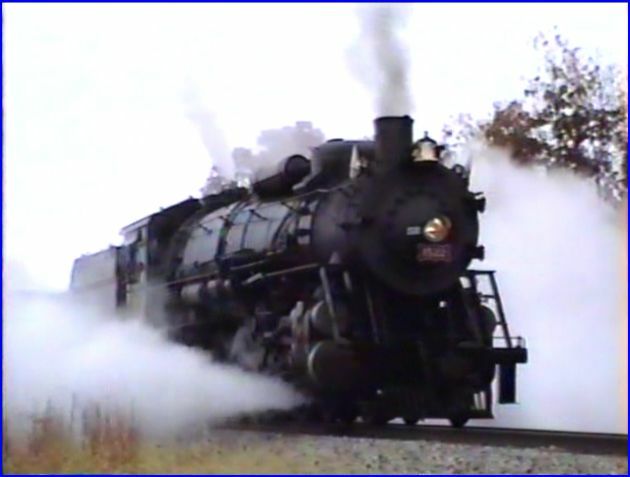 This entry was posted in ATVR Reviews and tagged American Train Video Reviews, new releases, steam train, Train DVD by William J. Hudson. Bookmark the permalink.